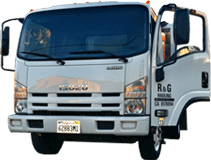 Welcome to R&G Hauling, the best source for hauling, junk removal, furniture and appliance removal, debris disposal, recycling, soft demolition, and one-time clean-outs in the Pasadena, Arcadia, and Monrovia area. We are a local, family-owned company with a service-oriented business philosophy. Since 1993, we have served thousands of satisfied residential and commercial clients and earned an impeccable reputation for being friendly, honest, respectful, and thorough. Whether you're getting rid of unused items stored in your garage for years, downsizing in preparation for a move, or throwing out old furniture and appliances following a renovation, R&G Hauling is your best choice for competitively priced, professional hauling services in the Pasadena area. When you hire R&G Hauling, you will work directly with the business owner, Rob Brion, who is very committed to making every client feel comfortable about him being on their property. He arrives in a clean, well-maintained truck with the right amount of people to handle the job in a timely manner. With decades of experience, Rob has seen it all. He is prepared to handle any kind of hauling, junk removal, or clean-up request, and knows the right questions to ask in order to provide a realistic, upfront price estimate. He'll determine the size and price of the job based upon an understanding of exactly what needs to be hauled, where it's located on your property, whether any demolition is required, and how much clean up will be required. Once your old furniture, appliances, green waste, construction materials, or junk has been loaded onto our truck, we recycle as much as we can and dispose of the rest properly. 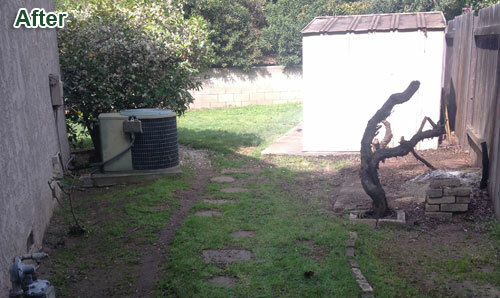 Before we leave, we sweep up any leftover trash or dirt, or we'll hose down the area if requested. If we need to enter your home or business to remove a couch, mattress, piano, or other large items, we'll put down painter's cloth, move slowly and carefully, and even wear booties if needed to ensure that nothing is damaged. R&G Hauling provides junk removal and hauling throughout Pasadena, Arcadia, Altadena, Glendora, Monrovia, San Dimas, Alhambra, Sierra Madre, South Pasadena, Duarte, Azusa and surrounding cities. We are fully insured for liability and capable of handling everything from the cutting and removal of a few tree branches to a complete clean-out of a home prior to escrow. We are available seven days a week from 7:00am to 7:00pm, and will work around your schedule. We provide free quotes over the phone or on site. Call us today at (626) 497-8271 to discuss your hauling and junk removal needs. Call R&G Hauling for All Your Junk Removal Needs! Thousands of residents throughout the San Gabriel Valley have turned to R&G Hauling for their junk and trash removal needs since 1993. 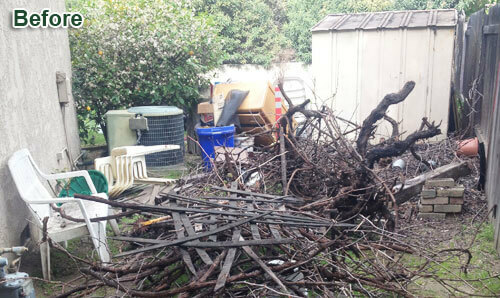 Our team worked efficiently to load and haul away these boxes and other unwanted items from a home in Rosemead, CA . . . Rob and Ginger from R & G Hauling have it down. Excellent customer service, very friendly, responsive and professional. They are willing to go that extra mile to meet your needs. I recommend R & G Hauling!! You wont be disappointed. Called R & G hauling to remove junk and debris from my yard. They were very professional. Charged a fair price. And did a great job. My yard is now clean and junk free. I would highly recommend them due to their good service, and genuine interest in providing a good service.